I’ve been quite remiss about posting updates on Historic Shed projects of late, but will try to make up for it over the next couple of weeks. 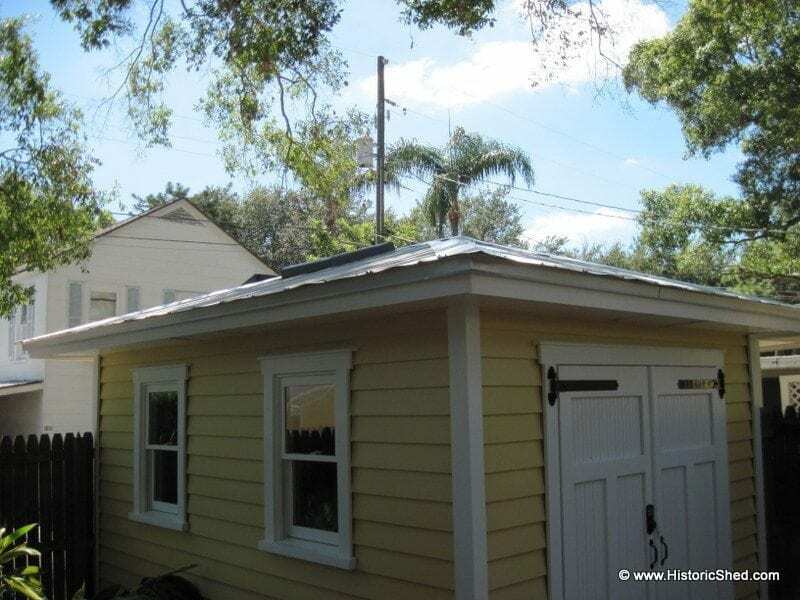 Last week we completed this pleasing hipped roof shed in St. Petersburg and I just love how it sits in the garden, replacing the corner of the stockade fence. 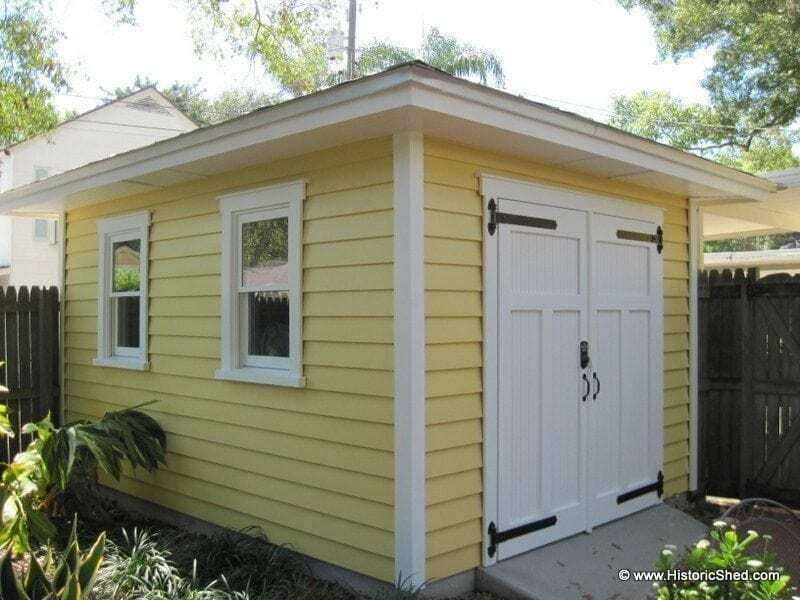 The shed takes some elements from the main house such as the low-sloped hipped roof and metal roof, as well as the pleasing butter-cream yellow paint. The 10’x14′ shed is our standard hipped roof shed with beadboard and batten doors modified with two added windows, skylights, and a solar exhaust fan. 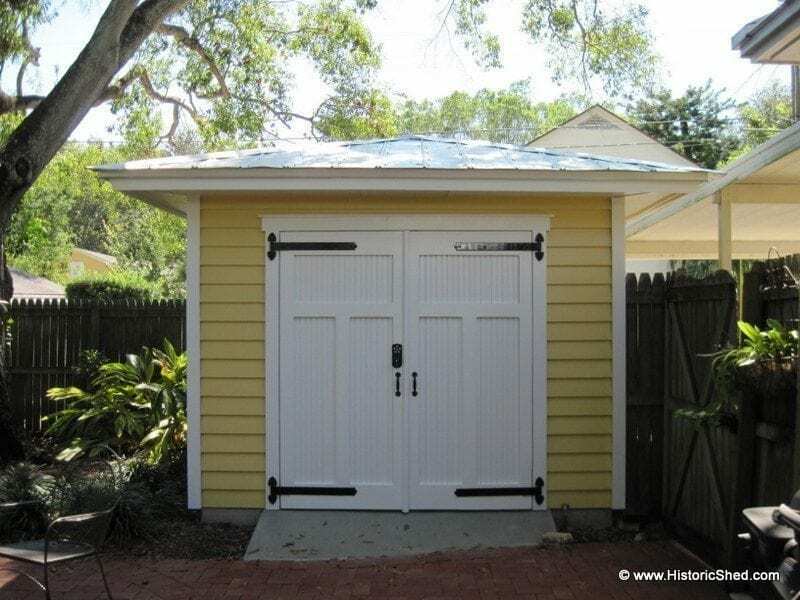 Hipped Shed by Historic Shed with double doors, heavy duty hinges and hipped 5-V crimp metal roof. The owner provided the keypad lock for the doors. A concrete ramp allows easy access into the shed. 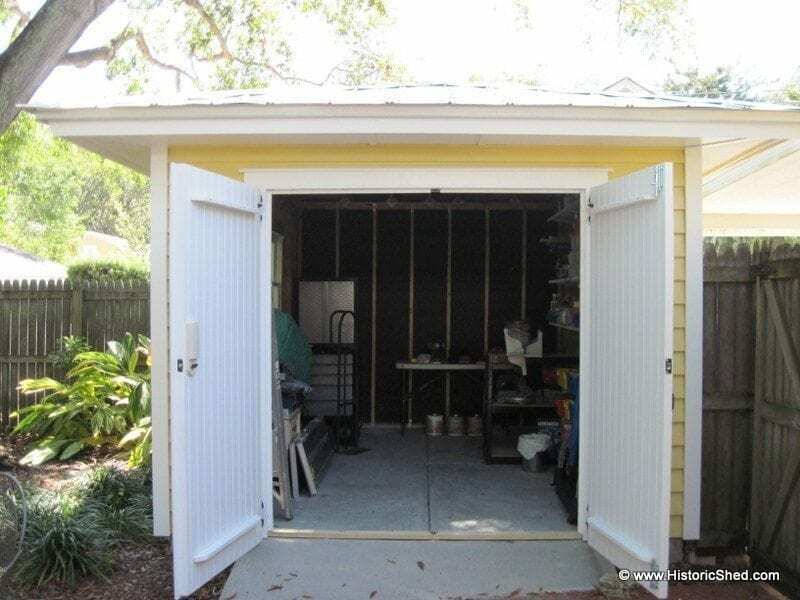 The 10’x14′ shed has two wood double-hung windows on the garden side. All siding and trim on the shed is cypress and treated with borate preservatives to make it rot and termite resistant. The shed has two skylights on the roof. 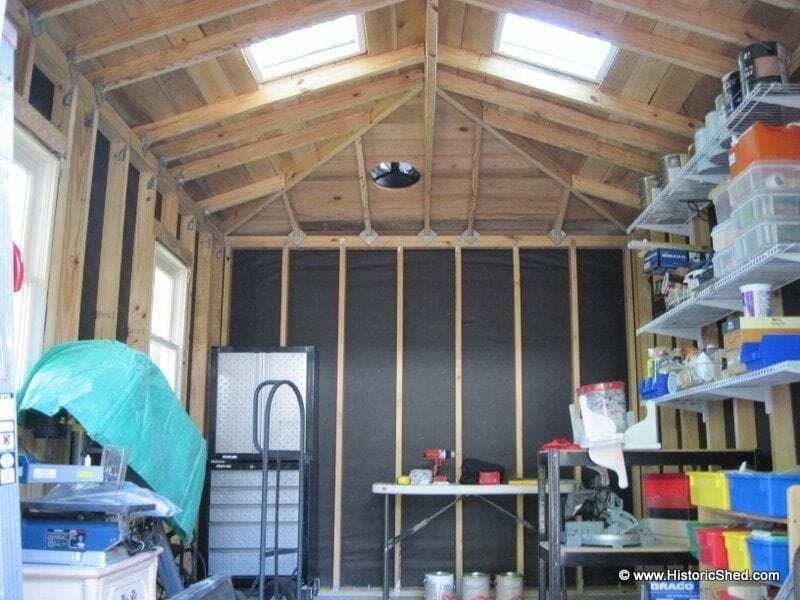 The inside of the shed with two skylights and a solar exhaust fan on the roof. The shed from the rear. The existing fence was removed for the shed installation. The solar exhaust fan can be seen on the rear of the shed roof.